Congratulations to Sarah Burton, the student designer of the winning 2019 National Library Week Button Contest. Her black and white, “Love Your Library” design was chosen by library staff in a blind review. She won bragging rights and UC Blue Ash College mug filled with goodies. 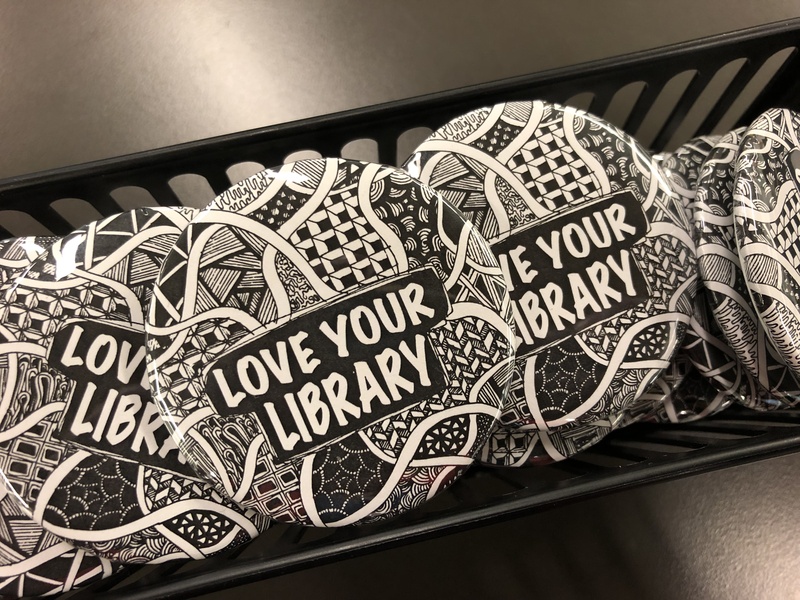 Stop by the library information during National Library Week to snag a button for yourself!